Hello there, weary traveler! Welcome to ACAwise. You must be exhausted spending all this time searching the net, trying to find the best way to file the new Affordable Care Act forms and stay compliant with all its new rules and regulations. Why don’t you sit for a bit and we’ll tell you a bit of our story before you get back on your way. But, who knows? Maybe you’ll decide to hang out and set up shop with us here. ACAwise is the brainchild of the people who brought you other successful e-filing sites like ExpressTruckTax, ExpressIRSForms, and ExpressTaxExempt. As you’ve probably guessed, ACAwise is an IRS-authorized e-filing service for the ACA Forms 1094-B/C and 1095-B/C, but it’s also so much more. The best way to ensure ACA compliance when you e-file each year is to keep a detailed record of your employees, the hours they work, and the health care coverage and other benefits you offer them throughout the year. Now, a lot of businesses who need to file the ACA forms will already have some sort of system like this in place. Well, companies who know the importance of keeping good business records will. But it’s unlikely these systems already have an IRS-authorized e-filing system in place for when tax season rolls around. That’s where ACAwise comes in: it’s the best of both worlds. Real-time dashboards and built-in error checks help track your ACA compliance throughout the year, even alerting you when it’s time to make an offer of coverage or if you’re in jeopardy of receiving an ACA penalty (or) fee. 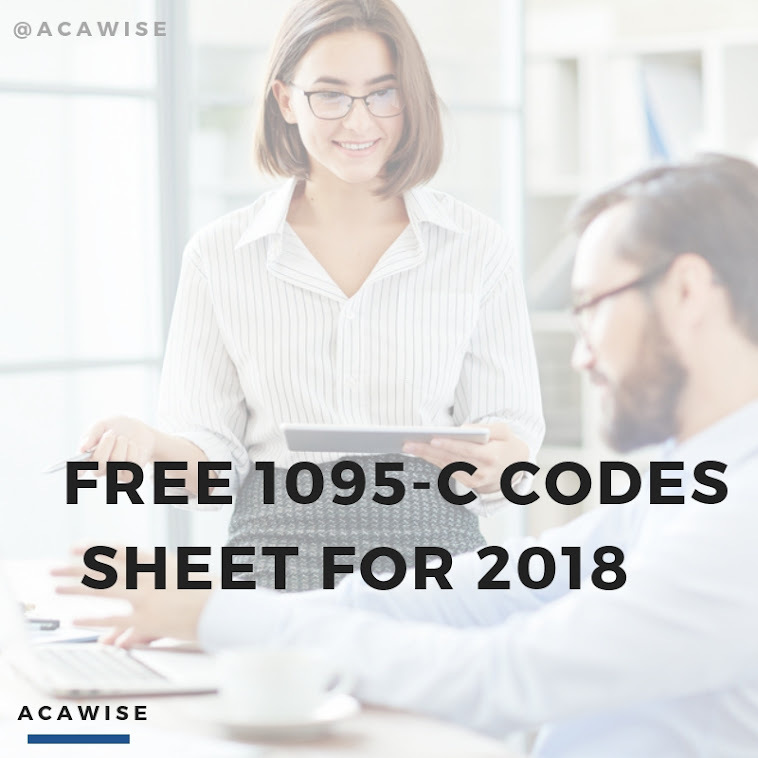 ACAwise automatically creates Forms 1094 and 1095 at the end of the year based on the data you’ve entered. All you’ll need to do then is review and send them directly to the IRS through our secure e-filing system. Once our offices in Rock Hill, South Carolina get word your return has been filed - which is usually immediately, but may be the next morning depending on how late you’re up filing - we’ll print the recipient copies of Form 1095 for you and mail them out by the next business day. And if for any reason your return comes back rejected, correcting returns is simple with ACAwise. For instance, the most common error ACA forms are rejected for is TIN mismatching. With the IRS’s e-file system, AIR, you get the entire return back and have to sift through each form’s codes to find the error. With ACAwise, our program automatically pulls the forms with mismatches for you and provides step-by-step instructions for correcting the error. See? Much simpler. Want to Get in On ACAwise? ACAwise will be launching a few “lite” versions in the coming months to get our system absolutely perfect for all your future ACA compliance and e-filing needs. Give us a call Monday through Friday, 9:00 a.m. to 6:00 p.m. EDT, at (704) 954-8420 to find out more about how you can be one of the first to try this revolutionary new product, or send us a message anytime through our contact page or by email support@acawise.com. Ready to e-file your 2015 forms before you get started with ACAwise? Check out our sister product, ExpressACAForms, where you can experience the same quick and easy e-filing engine used by ACAwise.